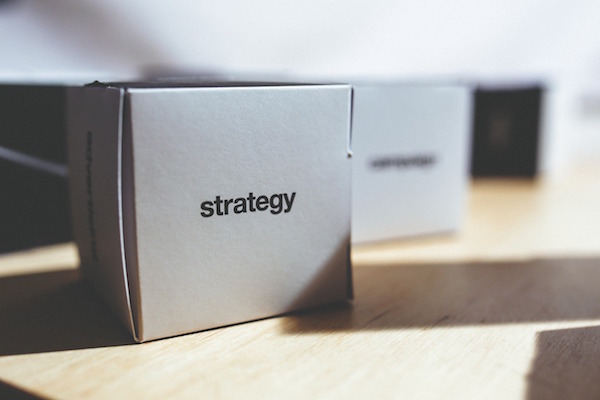 Having a carefully-developed sales strategy is crucial if you want to grow your business. Regardless of which industry you’re targeting, you need to have a full and clear understanding of the market and specific objectives that you want to reach over the coming year. Whether you’re setting up your sales strategy for the very first time, or updating your current document, here’s our top pointers for developing a clear and well-rounded plan that will help drive your business’ growth. The first stage in creating your sales strategy is to put into words exactly what your current sales objectives are, and will be for the next twelve months at least. You should review your existing strategy, if you have one, to ensure that the goals you already have are clear and can be measured accurately. Be specific – Try to make your goals as specific as possible; this will make it much easier to set out your plan of action, as well as ensuring your team stay on the right track. Make them measurable – Being able to keep tabs on how likely you are to reach your goals is clearly very important. Make sure you’ll be able to use metrics to see how well you’re doing. Set a timeframe – Have deadlines and milestones in place to keep staff motivated and ensure your targets are reached in a timely manner. The market – Determine how saturated the market currently is, and if there have been any changes or trends recently, or if there are likely to be in the near future. Competition – Look at who your competitors are in order to see how you can set your company and products apart, and if there are any gaps in the market that you can fill. Potential customers – Identify exactly who your customers are, or will be, and establish what they want and need from your product or service. By carrying out this research you’ll be able to decide exactly how you should be positioning your product or service. It will also give you the information you need to set your business apart from your rivals. This is incredibly important given that most customers aren’t immediately open to change; they need to be convinced in order to switch from their tried and tested usual brand, so you’ll have to emphasise the benefits and value that you can offer them. Decide Which Methods to Use. Your own website – You’ll obviously want to put your website to good use once you have it set up and ready to go. The only drawback here is that it can take time to get a substantial amount of traffic to your site, particularly through organic SEO. Face-to-face – Selling in person is usually an extremely effective method, and often essential when it comes to B2B or high value sales. However, for lower value sales it will usually require too much time and money. Cold calling/emailing – These types of sales campaigns are often a cost-effective way of generating new sales, provided you’re targeting an audience who is actually likely to have a need for your product or service. If you’re struggling to build a substantial marketing list you can turn to a third-party resource to gain access to B2B contact information, for example something as specific as an Argentina business directory. Third parties – It might be a good option for you to sell your products through a retailer or wholesaler. This can be particularly useful if you’re entering a market for the first time. Sales team – After reviewing your current setup, you might decide that new hires are needed. If this is the case, it’s a good idea to look for sales professionals who already have contacts in your market in order to save time and money. Training – Make sure that your salespeople have the skills and knowledge they need to effectively build business relationships, negotiate, and close deals. It is often a good idea to make sure that all employees who deal with customers are trained in the same way, not just those on your sales team. Systems – You need to have the right tools and infrastructure available in order to reach your sales targets. Ensure everything is up to date and running efficiently, and that your team know how to use everything in your tech stack. Standardisation – Having templates for documents such as proposal letters and sales contracts can help save time and ensure that there’s consistency across the team. When it comes to putting your strategy into action, you should aim to get the most out of your team by motivating them effectively, through praise of a job well done and possibly incentives for when targets are hit or for the best-performing salesperson. You’ll also need to decide which KPIs to monitor in order to track your sales performance and ensure you’re always on track to reach your targets. It’s a good idea to check in on progress every week, and hold a meeting with the whole team so everyone is aware of what needs to be prioritised going forward. Having a sales strategy that has been carefully reviewed and crafted is an integral part of ensuring business growth. It acts as a roadmap for you and your team to ensure you’re on track to reach targets, and also keeps everyone on the same page. While it’s important to make your plan detailed and be specific with your goals, it’s also important to allow for some flexibility – and monitoring your performance on a weekly basis will give you the opportunity to adapt it in good time.